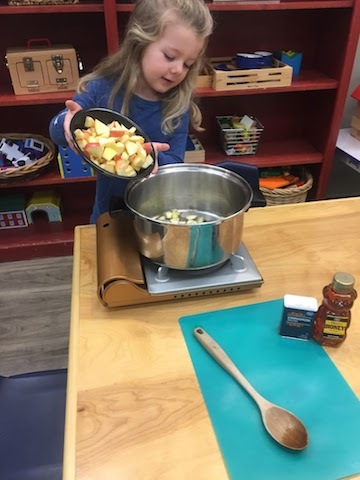 Preprimary students in the West Room enjoyed a mini Thanksgiving, making applesauce together on a camping stove. 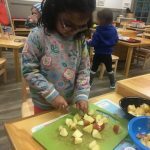 Each student chopped one or two apples to add to the pot. 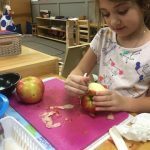 (Some of the kindergarten friends decided to peel their apples before chopping.) 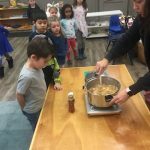 The mixture was seasoned with honey and cinnamon. 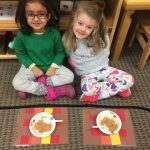 Students gathered in a circle with their handwoven placemats as they sampled their warm applesauce.